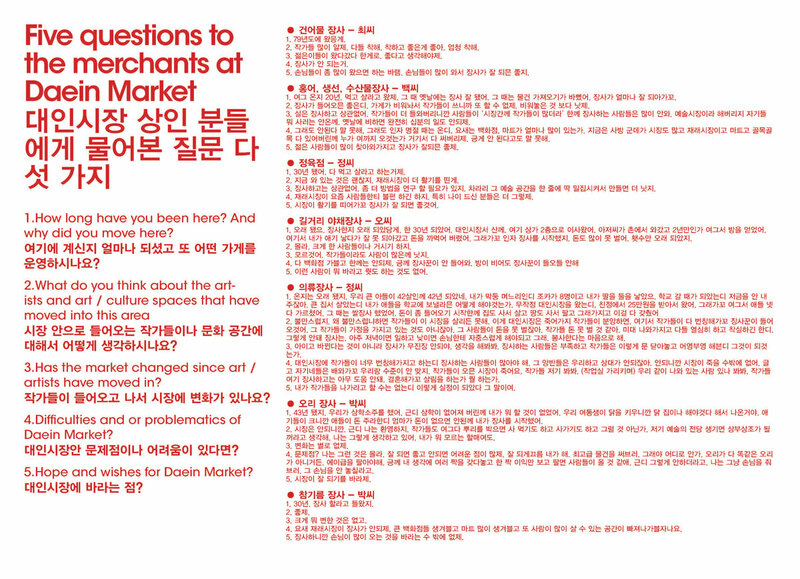 A magazine project on/with a local (art) neighborhood – the Daein (Art) Market in Gwangju; on the situation within the community, the market area, the city and it’s relation to a major event such as the Gwangju Biennale 2012. 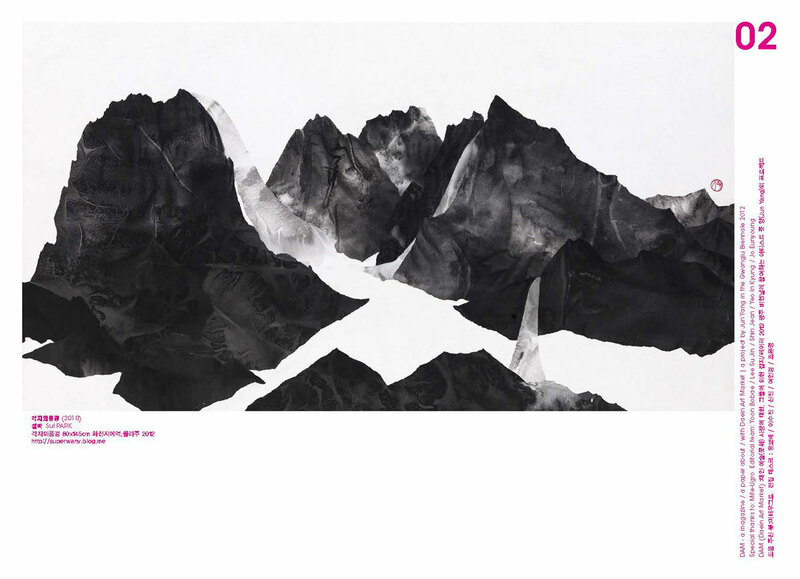 DAM was published as one sheet Size 4 (A2) paper for 7 issues with 20 000 copies each; distributed through the local Kwangju Ilbo newspaper for 7 weeks during the period of the Gwangju Biennale 2012. DAM tried to reflect on the interest and problems of a local art community in context with the city Gwangju and events such as the Biennale. The magazine as a link between the Bienniale, Daein Art Market and a greater public through its distribu- tion in the local newspaper. The printed magazine as a ‘voice’ and platform of negotiation, initiating a larger public discussion. 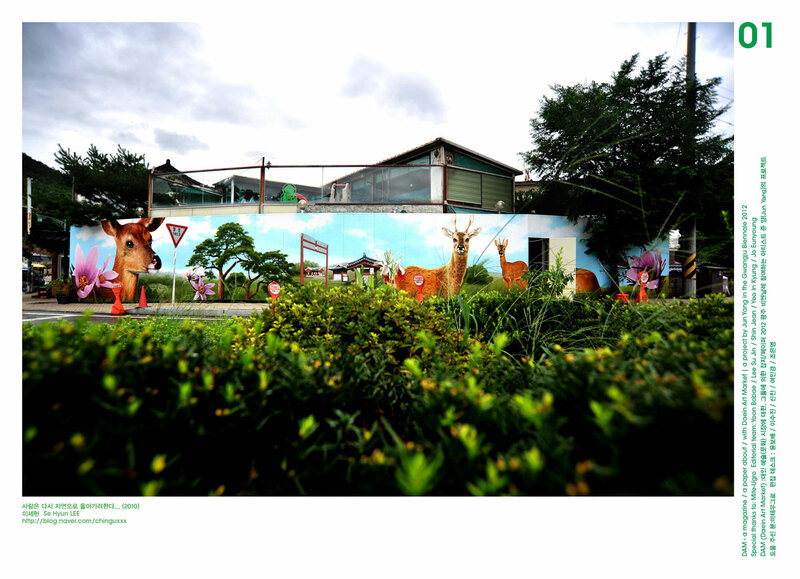 The covers of DAM featured several artists of Daein Art Community. Daein (Art) Market – an art community? Does this community have a / one voice? 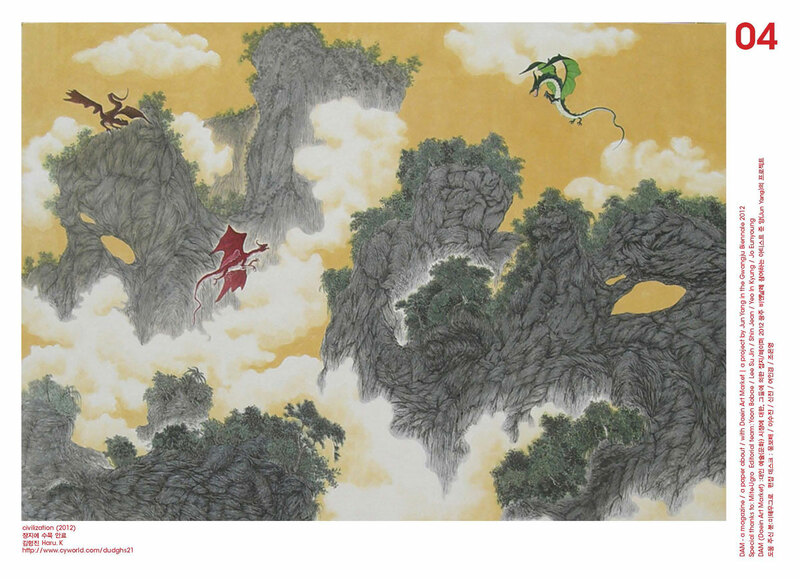 What is the interest of artists and curators moving into Daein Market? What are the conflicts and friction points of such a community? What is the interest of the city? Daein Art Market – another example of urban gentrifi- cation? How is the situation for the local market people? What does the Biennale mean to Daein Art Market, to local artists and curators? What is the relationship between the international visiting Bienniale artists and the local art scene? 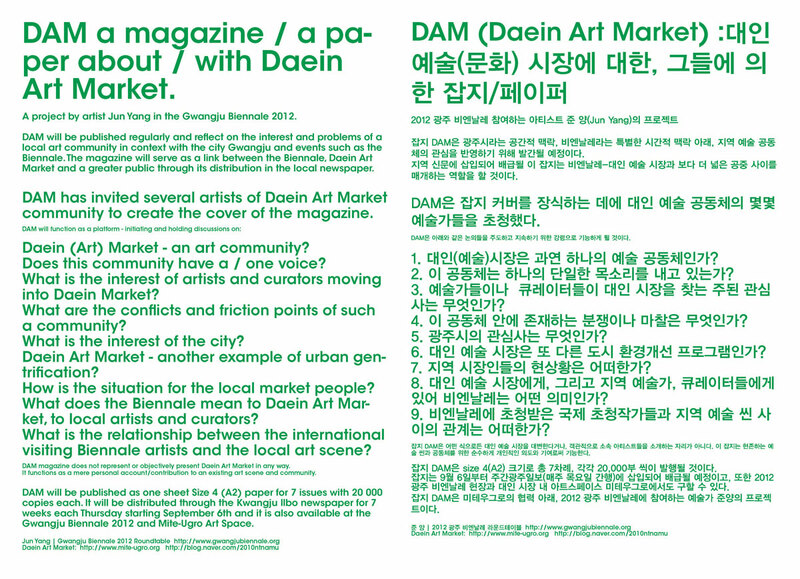 Images: DAM magazine issues; photo of a discussion for DAM at Mite-Ugro Art Space, Daein Market, Gwangju. Photo #7: discussion at Mite Ugro (art space) in Daein Market for DAM magazine.